Sgt. 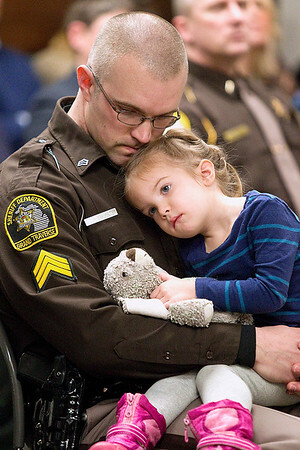 Brandon Brinks holds his three-year-old daughter, Sydney Brinks, in his lap during the Grand Traverse County Sheriff's Office's award ceremony at the Governmental Center on Wednesday. Sgt. Brandon Brinks was awarded the Employee of the Year award.